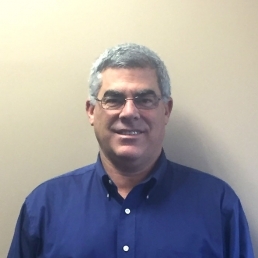 Dan joined Geotechnics in 2017 with decades of experience ranging from RIZZO Associates and GeoTest, Inc. to Western Colorado Testing, Inc. and Brucker Earth Engineering and Testing, Inc. Specializing in geotechnical engineering and construction materials testing, Dan notes among his favorite projects: Lake Livingston Hydroelectric Project; Arkansas Nuclear One Independent Spent Fuel Storage Installation Facility; Interstate 64 concrete integrity testing; Washington University Medical School Parking Facility; Eugene Field House Museum (Historical Society building) seismic monitoring during driving of steel piles for a new approach ramp crossing the Mississippi River. Dan is a graduate of University of Missouri – Rolla. He earned his master’s degree from Missouri University of Science & Technology in 2017. An avid outdoorsman and fan of American History, Dan lives in Hendersonville, TN, with his wife and three sons. Three items always in Dan’s fridge: venison cooked in a crock pot, sliced turkey, and a variety of cheese.